The 2010 Open Championship winner’s form looks ominously decent with the majors creeping closer. South African Louis Oosthuizen came close to upsetting the champion Paul Casey when he finished just a stroke behind in the Valpar Championship at Palm Harbour, Florida, at the weekend. England’s Casey, 41, who became the first man in the event’s 19-year history to repeat as champion, shot one-over 72, making a strong par from a fairway bunker at the last, and simply survived better than the rest. He finished four rounds at eight-under 276, one shot better than Oosthuizen (69) and Jason Kokrak (71). 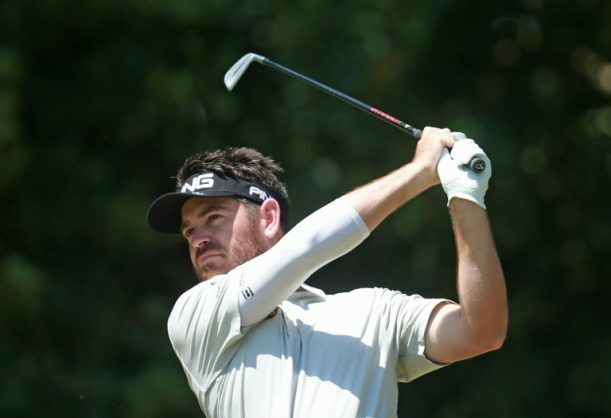 Oosthuizen was always in with a chance and was seven-under on the weekend (66-69) despite playing the final five holes in a combined three-over. On Saturday, bogeys at 16 and 18 would cost the 2010 Open Championship winner what would have been the best round of the week. On Sunday, he made a costly five again at the 16th, driving it into the left rough and needing three shots to get down from 30 feet just off the back of the green. He used a 3-wood for his third shot and juiced it eight-feet past the hole. “I kept in there and kept grinding it out and there was a few crucial shots I missed but ended up making an up-and-down,” said Oosthuizen. He did make a clutch up-and-down from left of the 18th green to give himself a chance, finishing at seven-under, but it proved to be one shy for the South African.